Raj Koria is an experienced and charismatic international sports business lawyer and adviser. Raj's experience includes media and television rights, sponsorship sales and servicing, product merchandising and retail distribution and on-site marketing operations. He is London based but services an international client base at Halebury, the alternative law firm. 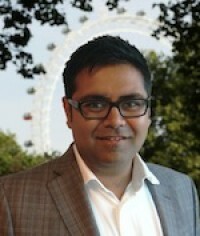 During his career, Raj has worked on some of the world's leading sports events including the sales of media rights for the Winter Olympics in Russia in 2014 and the Olympic Games in Brazil 2016, during his time as Senior Legal Director at SPORTFIVE International, one of the world's leading sports agencies. He has also spent six years at world football's governing body, FIFA, where he was deputy head of the commercial legal department and worked across all aspects of FIFA's commercial programme for the 2006 World Cup in Germany, the 2010 World Cup in South Africa and the 2014 World Cup in Brazil, as well as the planning of the 2018 and 2022 World Cups.